We hebben maat: S, M en L zijn op voorraad. 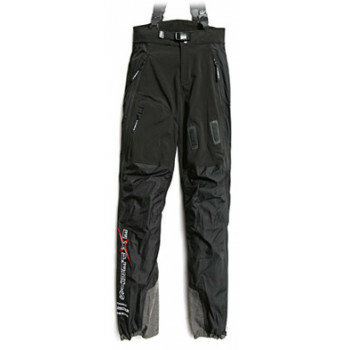 Functional Softshell pants for paraglider pilots. This softshell pant, designed by CharlynProducts is claimed to be the best designed multifunctional pants for aviation sport to date! Ergonomically tailored to the requirements of pilots who prefer a two piece outer garment in flight. Access when wearing shoes is problem free. A mixture from flexible Softshell material and robust 3-layered material offers maximal wearing comfort and high functionality the whole year round. The flight suitability is heightened by many further details and features. Heb je een vraag over EXPERTS Softshell vliegbroek?